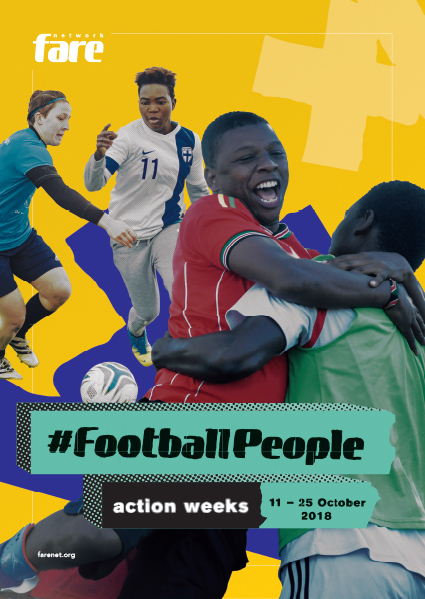 The Football People weeks are a global campaign to tackle discrimination and celebrate diversity in football. For two weeks in October (11th-25th) 100,000+ people will take part in 2,000 events in over 60 countries to bring about positive social change in and through football – and you can be a part of it. Fill in this form to register your event and have it added to the Football People activities map. This will help people in your country or region join you on the day. Do not use this form to apply for a Football People grant. If you have received a Football People Event Grant or small grant you do not have to fill in this form. Your activity will be automatically registered. If you would like to download Fare logos and resources to help promote your activities follow this link.